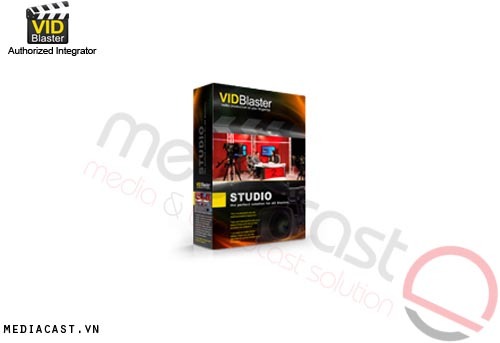 SKAARHOJ E201 là bộ điều khiển dành riêng cho cho các Serie ATEM: ATEM Production Studio, ATEM 1/ ME, ... của Blackmagic Design. Được sản xuất tại Đan Mạch theo tiêu chuẩn EU. 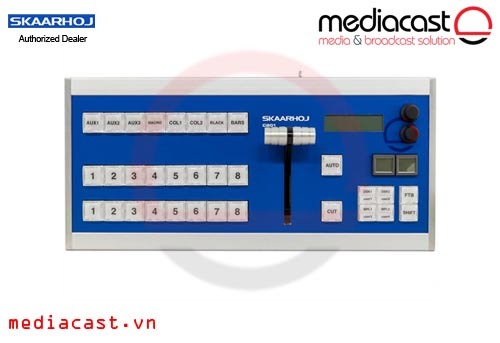 SKAARHOJ E201 là sản phẩm lý tưởng cho các đơn vị đã có, hoặc đang có ý định đầu từ một hệ thống trộn hình kết hợp giữa Blackmagic ATEM và Skaarhoj có giá thành hợp lý, hiệu năng cao, chất lượng tuyệt vời. 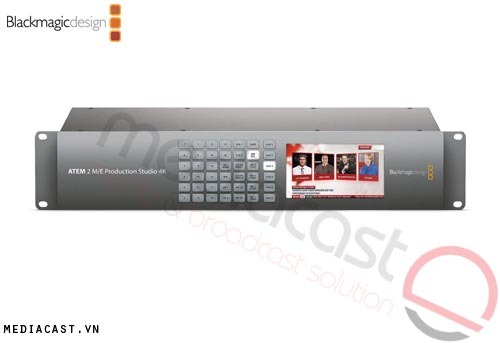 The E201 is the twin brother of the C201 Desktop Controller featuring the same basic feature set of buttons, slider/T-bar, Audio control, SmartSwitch array and a display and menu system. Based on standard enclosures the size is limited to a number of models, but the feature set is still extensive. With the E201 the SKAARHOJ Tally System is for the first time integrated directly in the controller. Connect the tally lamps in a star configuration or utilize the daisy chain functionality to connect them in continuation of each other. The audio control from the C90A can now be incorporated in a desktop controller as well. Change audio level of input sources, control the master volume, use AFV (audio follow video) and monitor the output with the integrated VU-meter. We have created a couple of visions of the E201 so you can see the versatility of the controller. Contact us to get a quote on your very own E201 with the feature set that fits your particular workflow. The E201-L is a small tour-de-force in the SKAARHOJ module list. You have integrated robotic camera control (Panasonic) with 4 presets, joystick for manual control and zoom, gain control, iris control and a push to autofocus function. 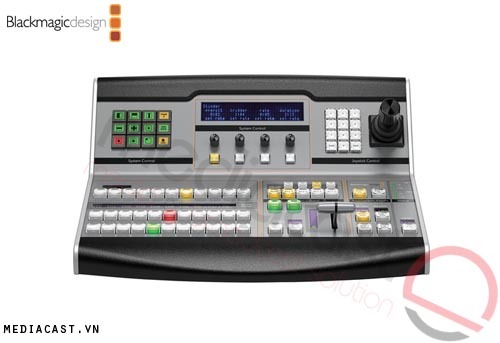 For video-switching you have 2x8 large 17mm red/green/amber backlit broadcast quality buttons for selecting the preview and program bus, Cut, Auto and 6 user buttons. The 4 SmartSwitches with 64x32 graphical displays are great for extending the functionality and visually show the buttons feature set. Furthermore audio control are integrated for two channels and master as well as channel monitoring via the VU meter. Last but not least the SKAARHOJ Tally system is incorporated directly in the controller. The E201-L is available for sale, but there is limited customization available in the web interface (besides setting IP addresses). The configuration has been moved to the 2x2 SmartSwitch menu system as demonstrated in the video. Besides controlling the ATEM 2 M/E the menu is designed to control the SmartScope, HyperDeck, VideoHub and the SmartView 4K. The controller will function without these peripherals connected, but menu options will either be switched off or be non operational. 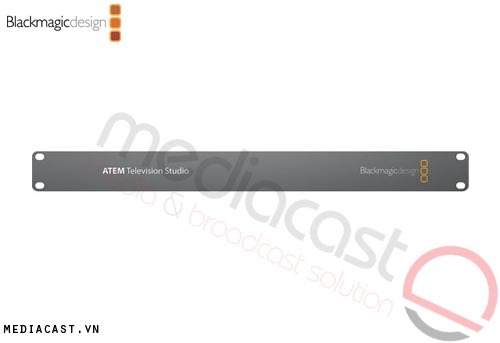 See the video below for a demonstrating of the menu system, when only a ATEM 2ME is connected. 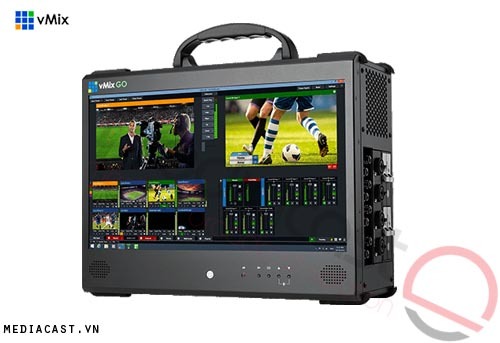 This E201-L3 is just like the E201-L but without camera control and the Tally System integrated. There is limited customization available in the web interface (besides setting IP addresses), however configuration has been moved to the 2x2 SmartSwitch menu system. Just like for the E201-L with PTZ and Tally Control. 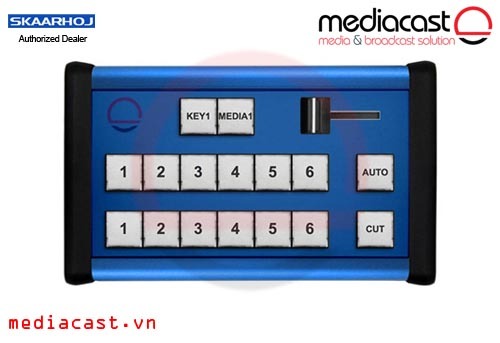 Besides controlling the ATEM 2 M/E the menu is designed to control the SmartScope, HyperDeck, VideoHub and the SmartView 4K. The controller will function without these peripherals connected, but menu options will either be switched off or be non operational. See the quick n' dirty video where the menu system is presented with only an ATEM 2 M/E connected. This version of the E201 is to a high degree similiar to the C201. 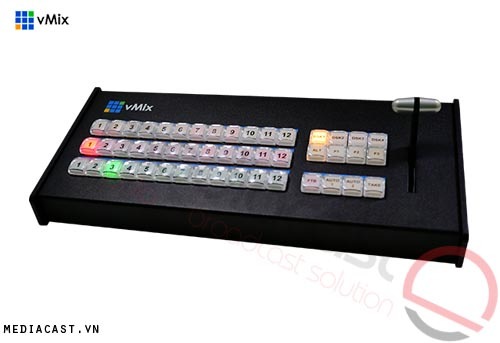 The preview and program bus together with the 8 extra buttons, CUT and Auto are 17mm backlit broadcast quality buttons. The 6 user buttons are the slightly smaller 15mm version. The menu systems consists of 3x16 chars backlit display (black on with with 2 rotary menu controls. You want a T-bar instead of the slider? Sure, this can easily be incorporated. 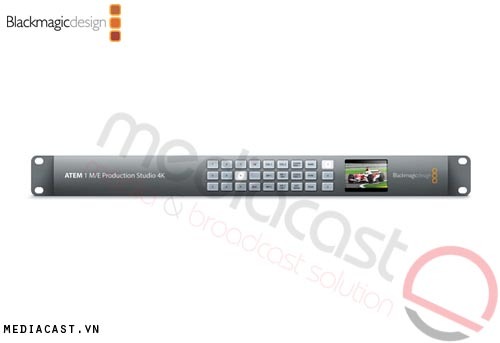 The E201-M is smaller than the E201-L, but still packed with features. 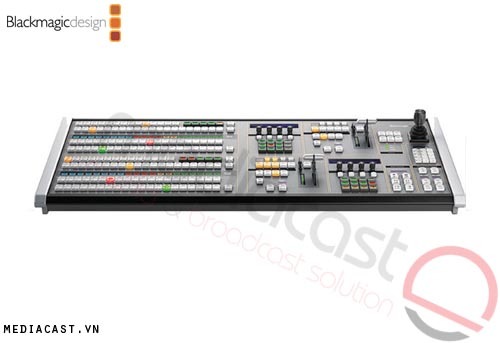 This vision is a mixer with 6 sources on a single preview/program bus, T-bar, 3 transition control buttons, main audio control and then 16 utility buttons. 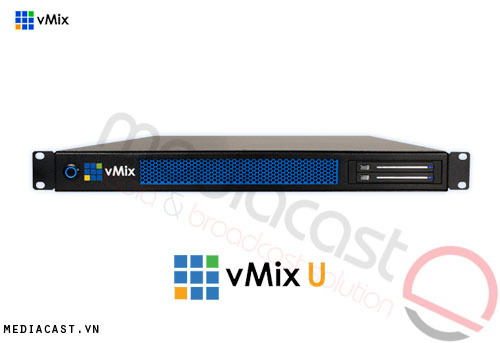 The utility array is intended for controlling a HyperDeck Studio and a BMD Videohub in the standard configuration. 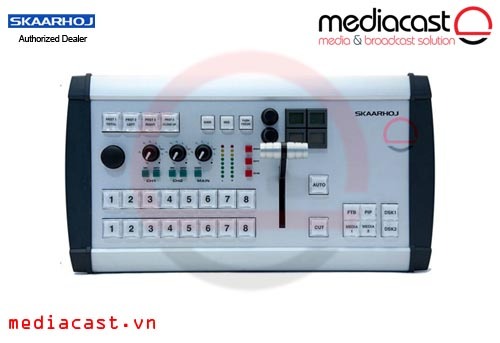 The "HUB 1" sends input 1 from the connected Videohub to a given output on the Videohub (this output will be selected in the web interface of this controller).